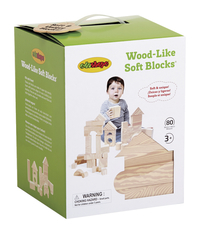 These building blocks offer the look of real wood, but with a (surprisingly) soft and safe foam construction for your young children. 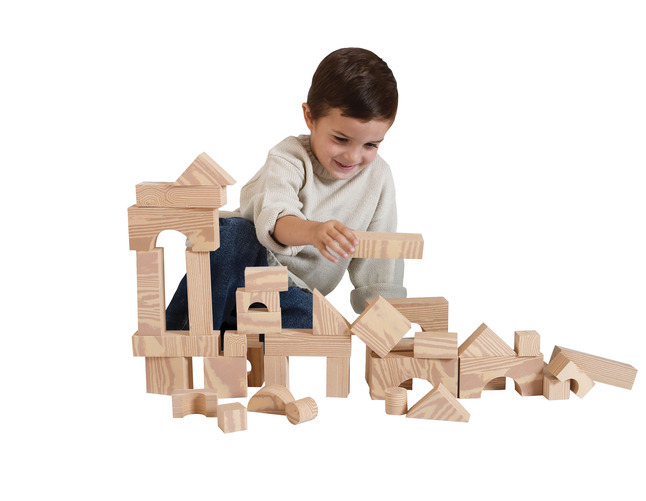 Blocks are 1-3/8 inches thick and mathematically proportionate, making this set a fun choice for introducing toddlers to identifying shapes and making models -- a perfect intro to STEM and STEAM! Building bricks comes in assorted shapes for multiple stacking and configuration options. 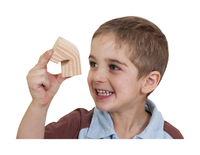 Sold as set of 80 Pieces. 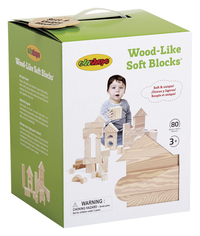 Safe for ages 3 and up.